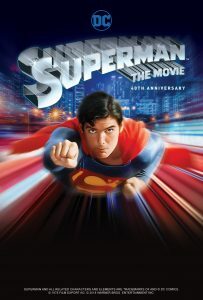 Superman: The Movie is headed back to theaters for three nights only and we want to get you in! 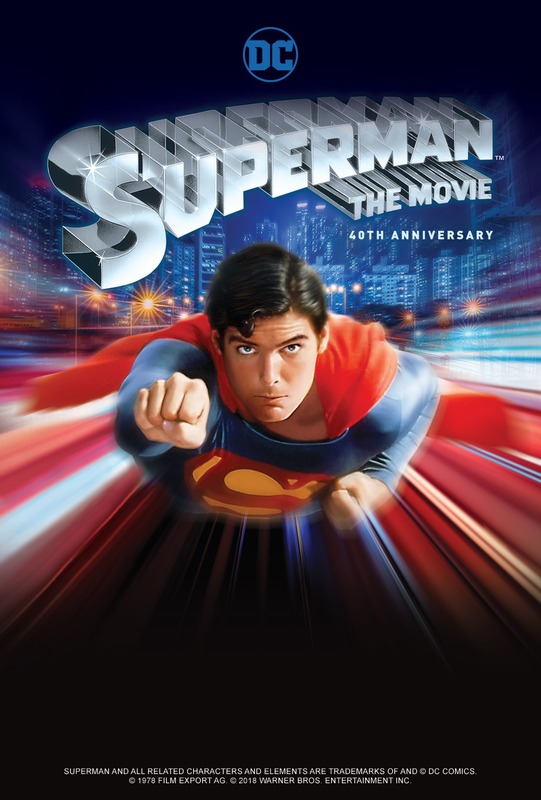 For three special nights, movie lovers will be able to revisit the blockbuster super hero movie that started it all, Richard Donner’s incomparable Superman: The Movie, celebrating its 40th anniversary. Starring Christopher Reeve as the Man of Steel, Gene Hackman as Lex Luthor, Margot Kidder as Lois Lane and Marlon Brando as Jor-El — leading an incredible all-star cast — Superman will play on Sunday, November 25; Wednesday, November 27; and will have a third screening on Monday, December 3. If you’ve never seen Superman on the big screen, this is a rare opportunity, and it’s paired with a screen rarity: the Max Fleischer “Superman” cartoon “Mechanical Monsters,” shown on the big screen for the first time since it debuted in November 1941. Thanks to our friends at Fathom Events, we’ve got 3 pairs of tickets to give away to residents of the United States. – 2 pairs of tickets will be given away via our Gleam campaign below. Just register and complete each step you’d like to for multiple chances to win. 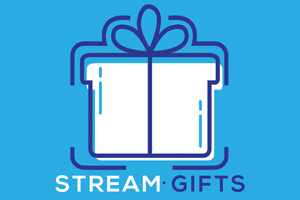 – 1 pair of tickets will be given away to our Patreon supporters, who continue to support us every month. If you love movies like we do, make sure to check out our movie podcast, Random Movie Club, available on iTunes, Spotify, SoundCloud, and every other podcast platform.